His name is Rey and he does not look, talk or act like anybody’s idea of a teen heartthrob. His teeth are crooked and foul. His hair is a bad bowl-buzzcut. He’s dirty from head to toe, and when he manages to speak, he mumbles disjointed sentences, often repeating them for no good reason. He certainly bears little resemblance to the world’s most handsome vampire, the perfectly coiffed, sparkly skinned Edward Cullen, hero of the “Twilight” franchise. And yet Rey, the train-wreck at the center of the post-apocalyptic manhunt “The Rover,” is indeed played by the usually dashing Robert Pattinson. How badly did Pattinson want the part? He auditioned for it. Twice. Understand, this is a guy whose last movie, “Breaking Dawn — Part 2,” earned $829 million worldwide. But he understood the need for an audition. Pattinson, 28, saw the jittery, perpetually insecure Rey as a literal underdog. “In a pack of dogs there’s always one who will completely accept the beta position,” he says. To help him find the right mindset, director David Michod had Pattinson watch the documentary “Bully,” which follows the lives of kids who are constantly picked on. The actor understood right away. It helped that co-star Guy Pearce happens to be a fairly imposing presence. By 2008 he’d been chosen to play Edward Cullen in the “Twilight” series. Five movies and countless magazine and tabloid covers later, the franchise concluded last year with “Breaking Dawn — Part 2,” having earned more than $3.3 billion. 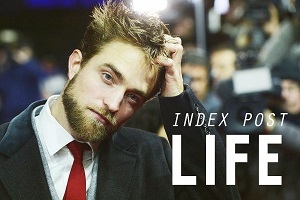 Pattinson has learned to adapt to the spotlight over the years, and he even ventures out into public on occasion these days. Along with celebrity, “Twilight” brought Pattinson high visibility within the film world, and he’s been working with some of the most respected people around. 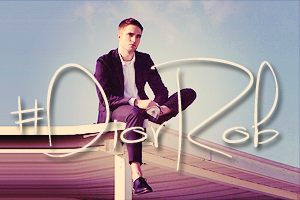 He did “Cosmopolis” with director David Cronenberg in 2012 and stars in Cronenberg’s upcoming “Maps to the Stars.” He’s playing T.E. Lawrence in director Werner Herzog’s “Queen of the Desert,” alongside Nicole Kidman and James Franco, and has “Idol’s Eye,” with Robert De Niro and Rachel Weisz, coming up. And he wants to keep riding that wave, chasing the acting high. “I guess I was a relatively shy person when I was younger. I still am kind of. It’s nice to challenge yourself, especially in big emotional scenes with a part you’re not capable of doing. 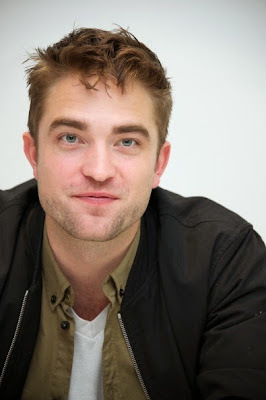 To be able to challenge yourself in that way, it’s quite exhilarating,” Pattinson says.